Hmmm pancakes, we love pancakes! I try and make pancakes whenever we can and it is always a success. 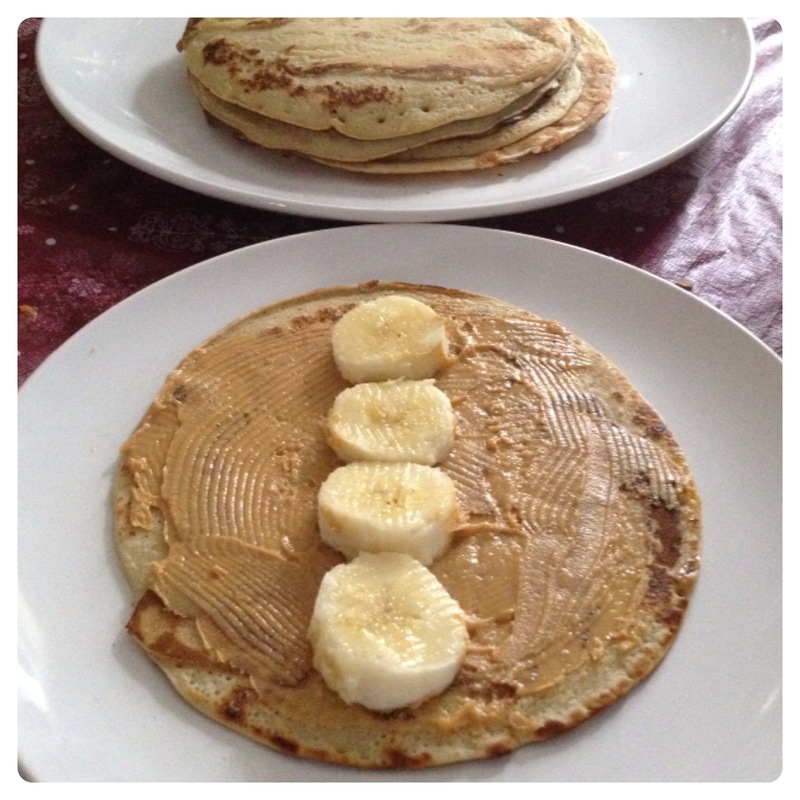 I enjoy pancakes with peanut butter and sliced banana, while little man prefers with chocolate spread and hubby with cheese and ham. 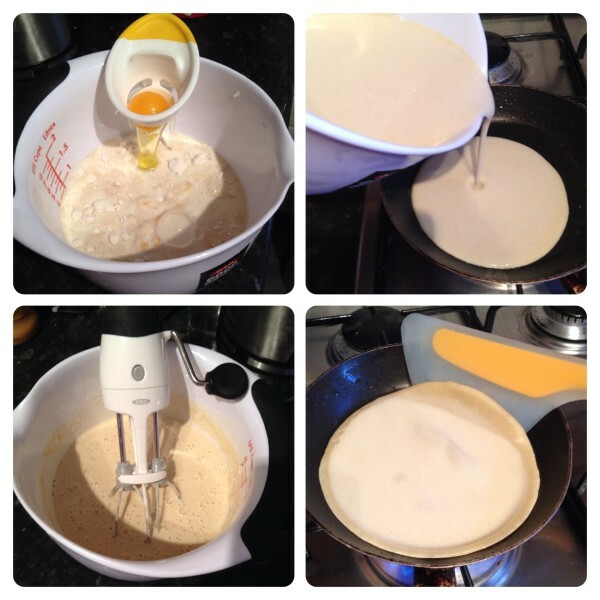 We were sent a few baking tools by OXO and put them to the test by making one of our favourite breakfasts: Pancakes! 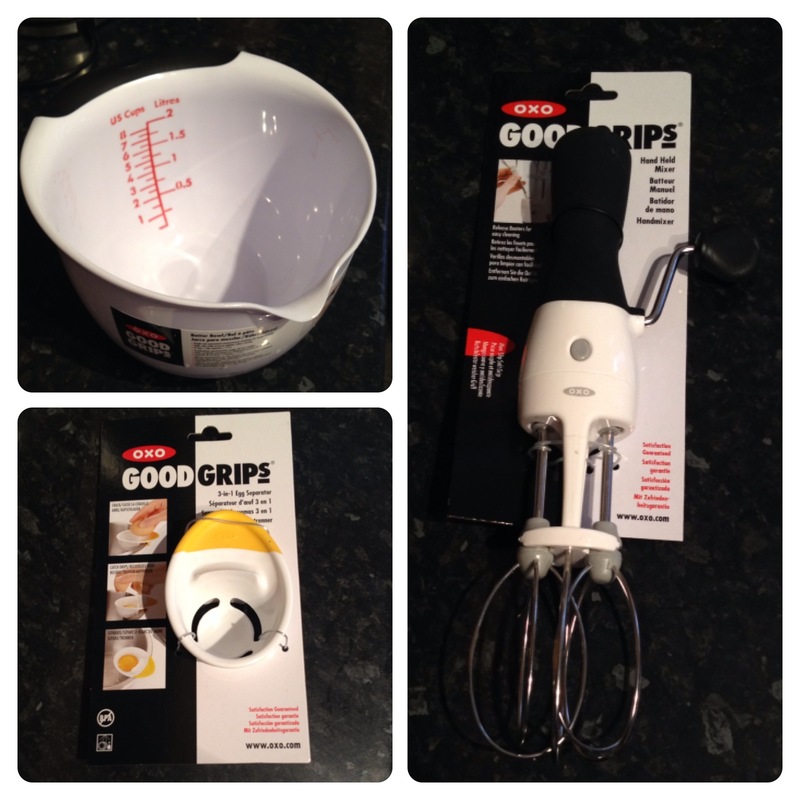 We were sent OXO Good Grips Batter Bowl (RRP £13.00) which is ideal to measure, add, mix and pour ingredients for pancakes, muffins and cakes. It comes with permanent measuring markings inside the bowl, and the soft and comfortable grip is perfect to cushion your hand while mixing and pouring. I loved the fact it is a large bowl with a capacity of 8 cups/ 2 litres, and the wide lip and pour spout allow for drip-free pouring. It is a great batter bowl, made of high quality materials! We also received OXO Good Grips 3-in-1 Egg Separator (RRP £4.50) which hooks onto the side of a bowl offering a perfect edge for cracking eggs and separating egg whites from yolks. It is easy to use and convenient. We have been testing OXO Good Grips Hand Held Mixer (RRP £20.00) with rotating gears enclosed in the upright handle, the turning knob and contoured handle have a soft and comfortable non-slip grip for easy operation. It is perfect to beat eggs, light batters and whipped cream. Mix the flour, sugar and salt into a large bowl, such as OXO Batter Bowl. Add eggs, using OXO 3-in-1 Egg Separator. Add milk and whisk the mixture until you have a smooth batter, using OXO Hand Held Mixer. Heat a non-stick frying pan over medium heat and add a knob of butter. Once melted, add the pancake batter to the frying pan. Once the top of the pancake begins to bubble, turn it over using OXO Flip & Fold Omelette Turner, and cook until both sides are golden brown. Repeat until all the batter is used up. If you prefer, you can halve the recipe and make 7-8 pancakes instead. We prefer having a few pancakes each, so we use the recipe above, but it is fine to halve the ingredients. I must confess I can’t flip pancakes in the air like a professional chef, so instead I use OXO Flip & Fold Omelette Turner. The flexible edges conform to rounded pan edges, perfect to use with anything that need flipping and turning around, such as omelettes and pancakes. Overall, we are very impressed with the baking tools we have been trying, OXO Good Grips products are easy to use and convenient, thanks to the soft and comfortable, non-slip grip. We are looking forward to making more cakes and pancakes with our baking tools. 8 Responses to "Perfect Pancakes Recipe with OXO Baking Tools"
Made these for breakfast this morning and really enjoyed them, thanks. As much as I love holidays in the USA, and as much as I love pancakes, the thought of having them for breakfast turns my stomach! lol Will have to try this one, for lunch though! Mmm everyone loves pancakes in our house! Love pancakes we often have them at the weekend.